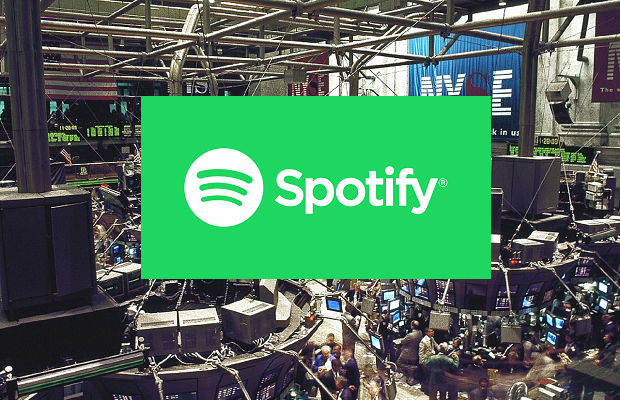 Spotify listed on the stock market this week, with an unusual ‘direct listing’ that resulting in shares of the music streaming service being up 12.9% on their first day of trade on the New York Stock Exchange. The success of the direct listing could pave the way for other companies looking to go public without the aid of Wall Street underwriters. Spotify Technology shares opened at $165.90, up nearly 26% from a reference price of $132 set by the NYSE late on Monday. The stock ended the session at $149.01, valuing the world’s largest streaming music service at $26.5bn. The direct listing was seen as a test case for other companies tempted to list without selling new shares, and for bankers that could lose out on millions of dollars in underwriting fees for future initial public offerings. Since launching its service a decade ago, Spotify has overcome resistance from big record labels and some major music artists to transform how people listen to music. But it still does not make a profit and faces intense competition from Apple and others. Normally with an Initial Public Offering (IPO), companies coming to market hire investment banks to advise on the process, organise a roadshow with would-be investors and help market the shares. Importantly, these banks also “underwrite” the offer, meaning that they agree – at a price – to buy any shares that go unsold at the flotation. This ensures that there is stability in the market when the shares begin trading. In the case of Spotify, it has opted for a so-called “direct listing”. It has hired Goldman Sachs, Morgan Stanley, and the boutique investment bank Allen & Company as financial advisers. But they will not be underwriting the issue as there are no new shares being sold. The shares will simply float on the New York Stock Exchange, with no banks to mop up any excess stock, no-one to set the share price via the underwriting process and no-one to allocate shares to investors. This approach will save Spotify tens of millions of dollars in fees. But it could mean trading in the shares will be exceptionally volatile as a result. The shares will simply find their own price, depending on how many buyers and sellers there are, while it could take some time for a price even to be established. The direct listing by the Stockholm-founded company was the largest on record. Spotify now has a higher market value than Snapchat owner Snap, which went public last year. Facebook and Alibaba Group Holding remain the largest tech stock listings in recent years.